Soon after attending a “Marry With Confidence” workshop for single women in San Francisco, Dina Solomon met the man she married in March, 2010. Dina’s first marriage ended in divorce and she has grown children. She describes the class as “instrumental” to her success in marrying her husband. “So many of us say we want to get married but we don’t really have a clear picture. We’re not aware of what we’re doing that prevents us from reaching the goal that we want. Your class was so instrumental in allowing me to think about the things I really needed to think about to do the work and identify my own blockages. “Sincerely, like really trimming down my list of what I think I wanted versus what do I really need. We all have these grand lists. So many things aren’t realistic. “You really need to think about “What do I really need?” And the homework assignment about “What do I have to offer?” We get so busy about what we want…I don’t really think about complimenting myself. What do I bring to the relationship? 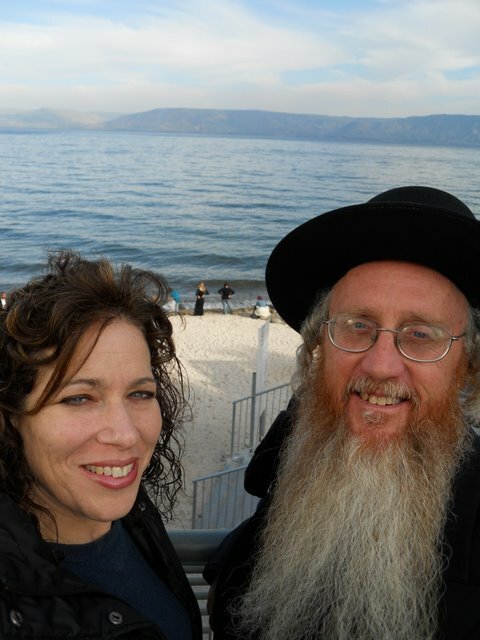 Dina met Boruch Yosef in October, 2009, on Frumster.com, when she was living Stockton, California. After daily phone conversations for two months, she met him in person in Safad, Israel, where he was living. They had a beautiful wedding in March 2010 in Safad, where they currently reside.